New in the box! Energy Suspension 913128G ball joint boots for. 77-94 Cadillac. 77-86 Pontiac full size. 64-81 Pontiac Mid size. 75-96 Chevrolet full size. 73-88 Chevrolet mid size. 92-97 Chevrolet Astro Van. Ball Joint Dust Boot Set. Performance Polyurethane. Hyper-Flex(TM) performance polyurethane for. Includes 2 Upper/Lower Ball Joint Boots. Made of Energy's. Repair torn and worn-out boots of suspension. Trending at $10.94eBay determines this price through a machine learned model of the product's sale prices within the last 90 days. Each has an important 5-point sealing action that prevents loss of lubricants and contamination - the major cause of ball joint wear. 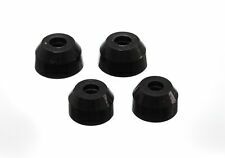 Notes: Ball Joint Dust Boot Set Color: Black : : Energy Suspension Ball Joint Boot Set - Ball Joint Dust Boot Set (9.13128G). Ball Joint Dust Boot Set; Red; Front; Performance Polyurethane; Incl. 2 Upper/Lower Ball Joint Boots;. FIRST with a patented Performance Polyurethane Transmission Mounts utilizing an Interlocking Safety Feature. FIRST with a patented Performance Polyurethane Transmission Mounts utilizing an Interlocking Safety Feature. 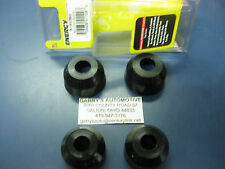 FIRST with Polyurethane Greaseable Anti-Sway Bar Bushings which feature easy greaseable zerk fittings. The engine types may include 1.8L 112Cu. l4 GAS OHV Naturally Aspirated, 2.0L 122Cu. l4 GAS OHV Naturally Aspirated, 2.3L 2294CC 140Cu. l4 GAS SOHC Naturally Aspirated, 2.5L 2474CC 151Cu. l4 GAS Naturally Aspirated, 2.5L 2474CC 151Cu. Trending at $10.79eBay determines this price through a machine learned model of the product's sale prices within the last 90 days. Ball Joint Dust Boot Set; Red; Front; Performance Polyurethane; Incl. 2 Upper/Lower Ball Joint Boots;. Ball Joint Dust Boot Set; Black; Front; Performance Polyurethane; Incl. 2 Upper/Lower Ball Joint Boots;. Your credit card will be credited for the full price of the product. Repair torn and worn-out boots of suspension tie rod ends - without having to buy the entire and expensive tie rod. Adds durability surpassing most OEM rubber boots. Ball Joint Dust Boot - Hyper-Flex - Lower / Upper - Polyurethane - Black - GM A-Body / B-Body / F-Body / G-Body / X-Body 1970-96 - Kit. Product Details. Ball Joint Dust Boot - Hyper-Flex - Lower / Upper - Polyurethane - Red - GM A-Body / B-Body / F-Body / G-Body / X-Body 1970-96 - Kit. Product Details. 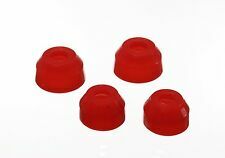 Ball Joint Dust Boot Set Red Front Performance Polyurethane Incl. 2 Upper/Lower Ball Joint Boots. Looks Great. Lasts Longer. Warranty Type:Manufacturer Warranty. Warranty Duration:Other. This part is sold as a PART NUMBER ONLY. Information like which side a part fits (LEFT or RIGHT) and specific vehicle attributes (Transmission, AWD/RWD, and other vehicle exclusions) are included for your information in this LEFT COLUMN. ENERGY SUSPENSION. This item and many others are part of a multi vehicle parts liquidation. Unknown if these are being re-produced or not. The inspection of each part is done by my human eyes. Warranty Type:Manufacturer Warranty. Warranty Duration:Unspecified Length. Part Number: 9.13128G. Simply put, the three most valuable reasons for using ENERGY SUSPENSION's HYPER-FLEX™ components are: PERFORMANCE, DURABILITY, and APPEARANCE. Energy Suspension. HYPER-FLEX™ is Energy Suspension's unique and technically advanced chemical formulation performance polyurethane. Ball Joint Dust Boot Set; Black; Front; Performance Polyurethane; Incl. 2 Upper/Lower Ball Joint Boots;. FIRST with a patented Performance Polyurethane Transmission Mounts utilizing an Interlocking Safety Feature. Trending at $9.90eBay determines this price through a machine learned model of the product's sale prices within the last 90 days.